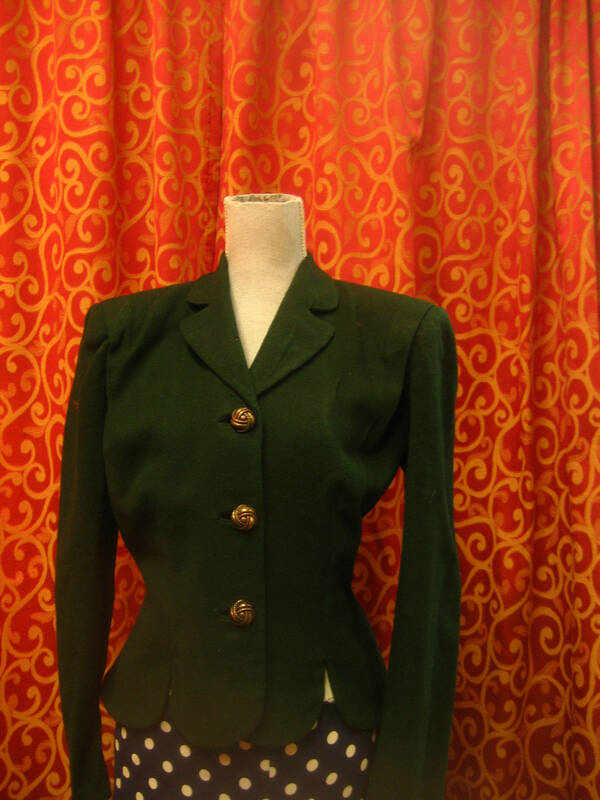 1940's, 40" bust, forest green wool jacket with notches at collar and lapels. 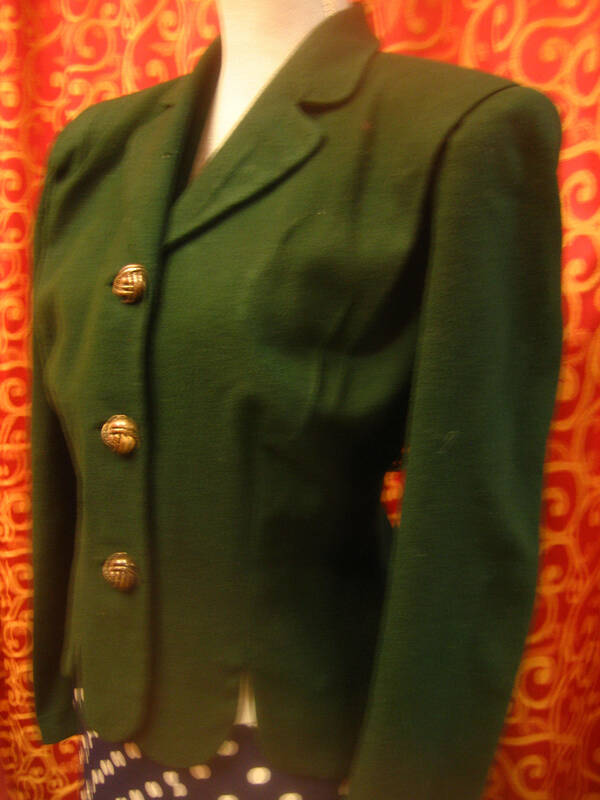 Jacket is fastened at front with 3 round dark brass buttons. Sleeves are are long and tapered, padding at shoulders. Bottom of jacket is scalloped. Label reads "Bramley", Franklin Simon New York.